Hyundai Motor considering building a fourth car plant in China to meet local demand. 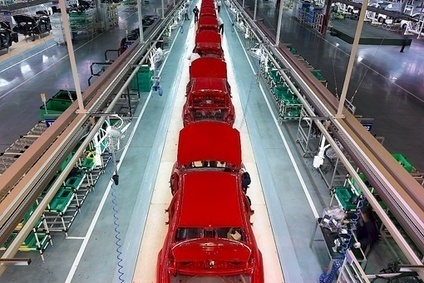 According to a Bloomberg News/Automotive News Europe report, citing a Hyundai Motor statement, the automaker’s chairman Chung Mong Koo will sign an agreement on Thursday (27 March, 2014) with the government of Chongqing to study the possibility of locating a plant there. The city is the most likely site for the factory, the automaker added. The report noted Hyundai faces rising competition in China, its largest market, as sales by Toyota and Nissan Motor local joint ventures have recovered from anti-Japanese boycotts touched off in 2012 by a territorial dispute with Japan. Rivals including Volkswagen and General Motors – both of which have several local car making JVs, also want to make and sell more cars in China as economic growth and urbanisation drives demand for new vehicles. “To increase or at least keep its market share, the decision to build a new plant would have been inevitable for the company,” Lee Sang Hyun, an analyst at NH Investment & Securities, was quoted as saying. The fourth plant would have capacity of 300,000 cars a year, bringing Hyundai’s China output to 1.51m vehicles, according to the statement. Hyundai’s three existing car plants are located in Beijing. Its commercial vehicle business also has a new plant under construction in Sichuan. The carmaker’s annual sales in China passed 1m vehicles for the first time last year, according to Bloomberg data. In comparison, it sold 640,698 units in South Korea and 720,783 in the United States. In EU and EFTA markets, the carmaker’s sales slipped 3% year on year to 422,930 vehicles in 2013, according to ACEA.